Our studios ensure we, and our clients, get closer to their customers. 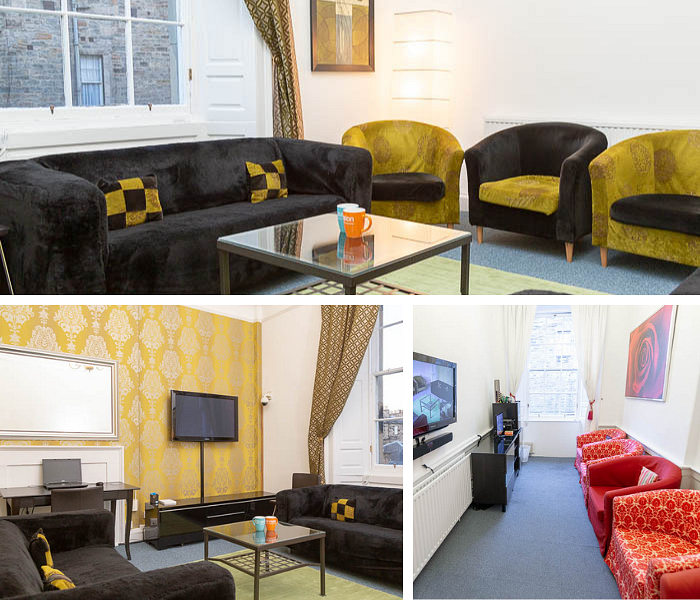 In our Edinburgh headquarters, our state of the art facilities and technologies will ensure that your research sessions are comfortable and insightful. Our flexible facilities include the latest technology and have hosted research on everything from consumer financial service preferences to whisky advertising. No matter what you are researching, we can provide the perfect research environment. 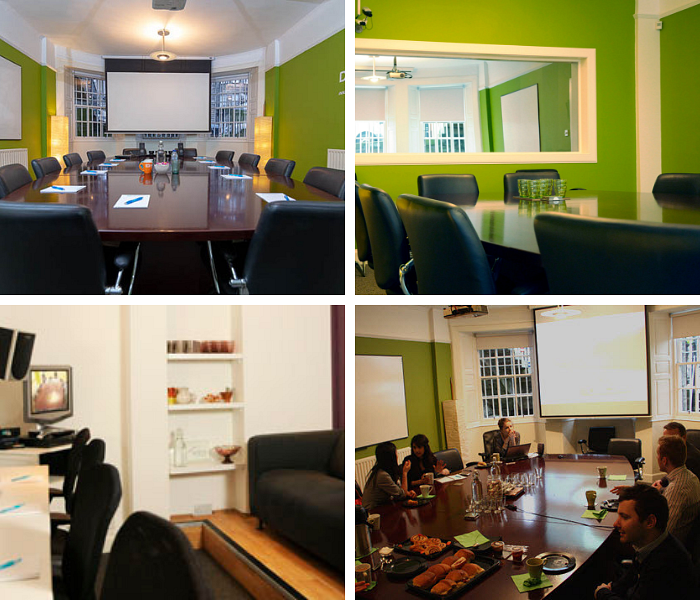 Our large, spacious focus group room is perfect for research. Discussion flows easily around our beautiful mahogany table in comfortable surroundings. The large room features an overhead data projector, flipchart, whiteboard, wifi and cameras for local and remove viewing. Through a one-way mirror, observers can follow the proceedings from our observation room featuring comfortable sofas, and high quality audio. All sessions are recorded for you to take away at the end of the session. If your team cannot travel to our offices to observe the research, we can set up secure, remote streaming from our cameras to your PC through so you can follow the research first hand no matter where you are. This state-of-the-art studio offers the ideal setting for usability testing or depth interviews. Sitting on the comfortable sofas or at the desk, observe your research through a one-way mirror, with high quality audio and the multiple monitors showing the participant’s screen. We can also use our eye tracking system to provide a real-time view of where participants are looking. For research on mobile or tablet solutions we provide advanced equipment to record and share detailed views of the participant’s mobile device. Designed as a stylish and comfortable living room, and more intimate than our Focus Group Room, the Lounge at User Vision focus lets your respondents feel at ease throughout their session. Moderators can present via our large High Definition TV and with multiple selectable views of the room, the screens used in the lounge are available to view from the adjacent observation room. Top-notch catering will ensure an enjoyable observation experience. The studio environment was tranquil, tastefully laid out and there were no distractions; exactly what you would expect to keep people focussed under these conditions.